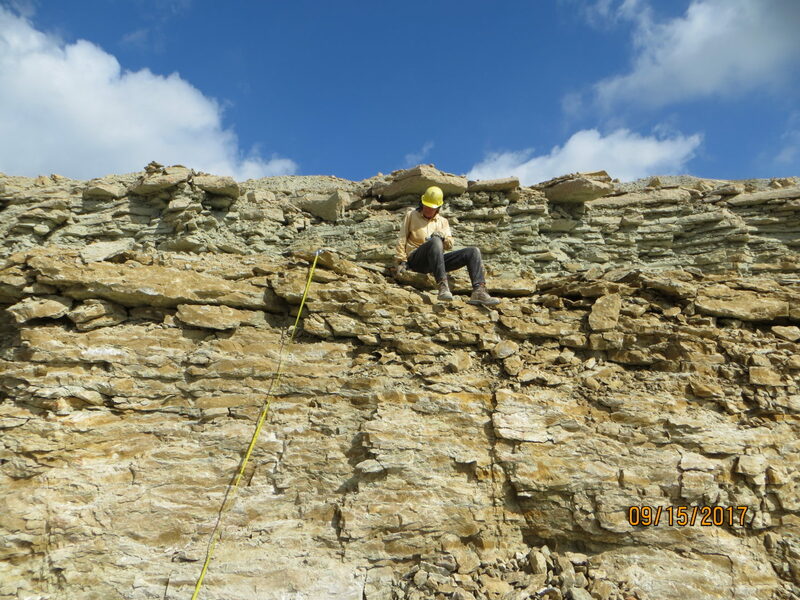 Two previous Dry Dredgers blogs (2/23/16 and 6/30/16) summarize field trips that Tom Bantel and I took to the Silurian Brassfield Limestone in Ripley County, Indiana. On those previous visits, we collected samples for stratigraphy studies being done by Dr. Mark Kleffner (Ohio State University at Lima). 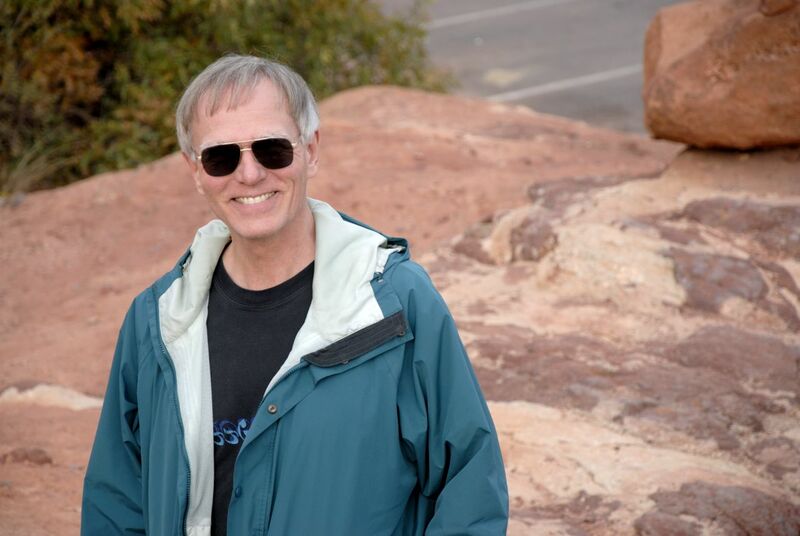 Tom and I recently returned to obtain additional samples for his research. 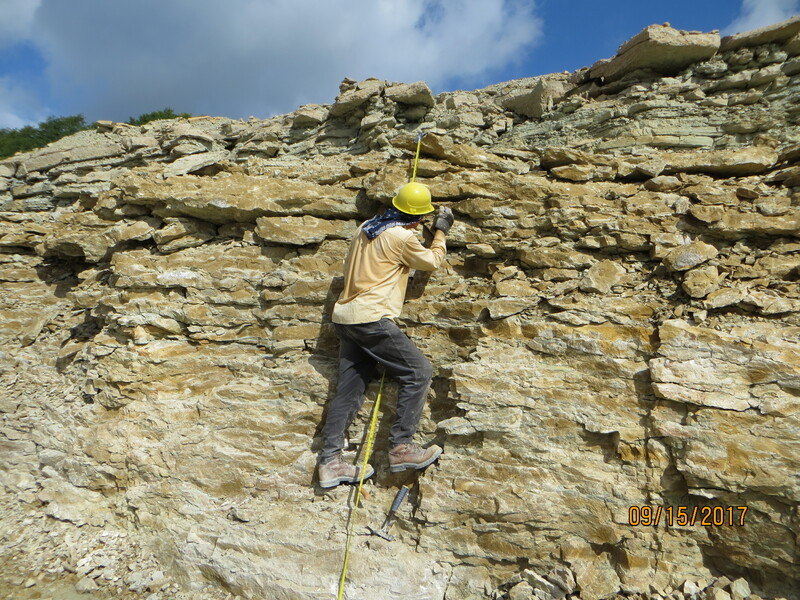 In our previous collecting, samples were collected at half-meter intervals through the approximately 10 vertical feet of Brassfield exposure in a commercial rock quarry in Ripley County. Dr. Kleffner used those samples for isotope ratio (carbon-13/carbon-12) mass spectrometry to help age the rocks, by comparing the “isotopic signature” (isotopic fingerprint) against known fluctuations in the Silurian. The process started by getting a GPS reading on the specific spot we chose. We cleared away the scree at the bottom of the wall to expose the base. After that, we marked and numerically labeled 10-cm intervals on the vertical quarry wall. Then we collected samples below the base, at the base (zero-cm interval), from each 10-cm interval above the base, and from the cap rock on top. Collecting samples near the top of the Brassfield Limestone exposure. The desired sample size for Dr. Kleffner’s analysis is 1-2 inches thick and 1-2 inches in diameter. 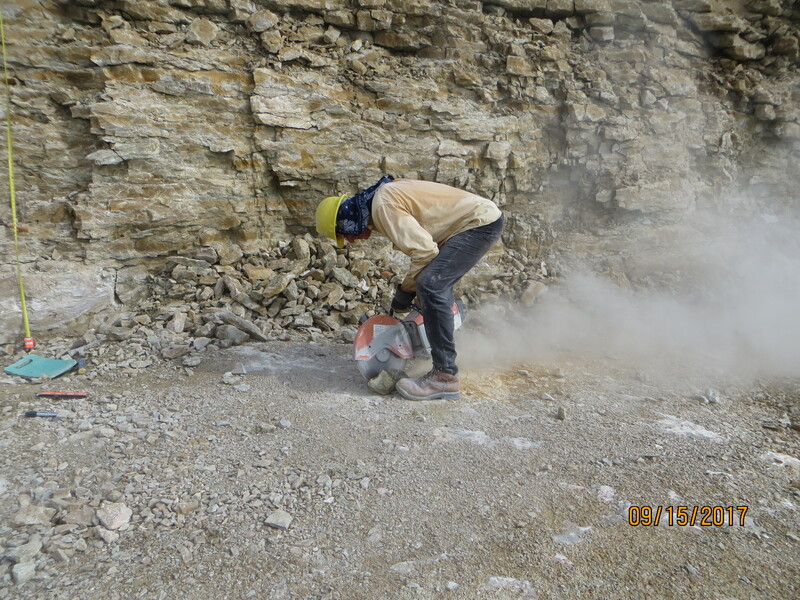 Because of the extensive fracturing of the face of the exposure from blasting by the quarry operations, some of the samples pulled from the wall were the correct size. However, since several of the samples were still too large, they were trimmed with a Stihl rock saw. Trimming samples to the appropriate size. The top and bottom of each sample was marked. Then each sample was placed in a labeled bag, with a back-up paper label inside the bag. At present, we still have all the samples. In early October, they will be transferred to Dr. Kleffner. We look forward to hearing the results of Dr. Kleffner’s analysis of the samples. And, of course, we’ll gladly return to the Brassfield if he needs more material for his studies.